“MIRAI” is the Japanese word for future. The MIRAI programme is financed by the Ministry of Foreign Affairs of Japan (European Policy Division) and is this year implemented in Japan by JICE, Japan International Cooperation Center. As its European implementer, the Japanese Ministry of Foreign Affairs for the fourth year running contracted EFIL. Under the MIRAI Program young people are given the opportunity to explore Japan for a week. 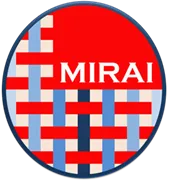 The main objectives of MIRAI are to promote mutual understandings, to enhance intellectual discussions and to build strong networks among future leaders of Japan and the world. For MIRAI 2018/2019 there will be about 180 participants, split over 6 groups. In November, a first group of 40 university students visited Japan. The focus of this study trip was on politics and security. A second group of 40, focusing on economy and business, visited Japan in December. Following in January 2019 is group 3, again 40 students, with focus on science and technology. Two more groups of students will follow later, one with participants from Western Balkan countries and one with students from universities in Central Asia and the Caucasus, the details of the visits still have to be finalised. Finally, just like in last year’s programme, there will be a slightly different study tour in March, for 20 young government administrative officials and diplomats. During their week-long stay in Japan the participants have the opportunity to learn about Japanese history and current affairs, and experience Japanese culture. Activities take place in Tokyo, Hiroshima and Kyoto, giving the participants the opportunity to see several sides of the country. They experience traveling on Japan’s famous Shinkansen bullet train. There are visits to museums, temples, shrines. In Tokyo, a visit to the Ministry of Foreign Affairs is scheduled on the last day of the programme, including a final reporting session. During the week long visit participants are encouraged to share their impressions and experiences on blogs, Facebook, Twitter and Instagram.